Some folks are surprised when they hear that we do a lot of caricature drawings for weddings. But it’s true! Live caricature drawing entertainment for guests at wedding receptions – or cocktail hours or rehearsal dinners – is a great alternative to the all-too-common photo booth. Caricatures are more personal, more creative, and last much longer than simple photos. Guests often take them home, frame them, and keep them forever – and have an amazing remembrance of your special day for years to come. Consider giving this fun party favor to the guests at your wedding! 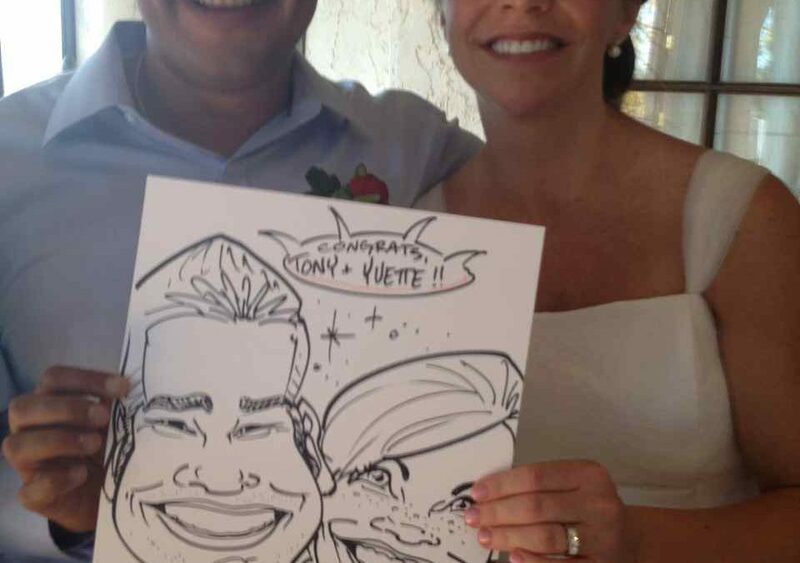 Reserve a caricature artist – or artists – for your special day.